It’s a fact: The primary business of every health club isn’t fitness. It’s maintaining good customer relationships by providing excellent service. You can have the best facility, amenities, and programs in the world, but if customers have bad experiences, they won’t stay. And sub-par service certainly won’t help generate referrals or lead to new sales—you’ll lose business and your reputation will suffer. 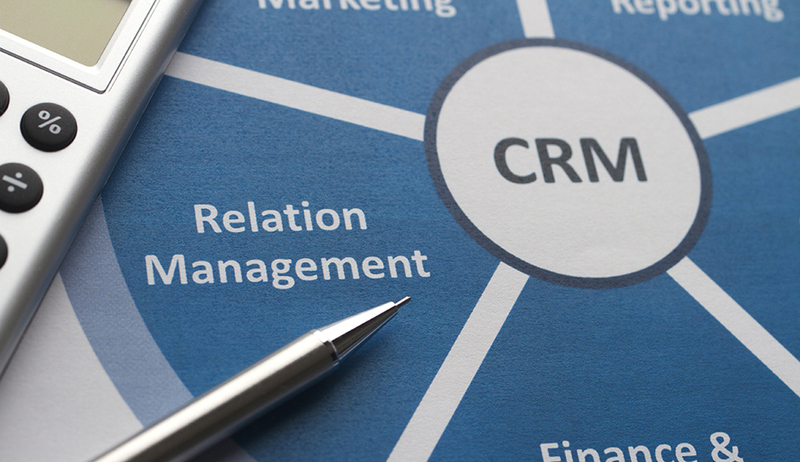 The good news: Having a robust customer relationship management (CRM) system can help you improve the most critical aspects of your customer service program, and, thus, your members’ club experience. Here are four reasons CRM systems are worth the investment for health clubs. In many operational areas, clubs have grappled with inefficiencies that have frustrated employees and customers alike. In many cases, for example, simple administrative tasks that involved actual paperwork have led to major headaches as a result of human error. For a long time, that was the case for Beth Saroka, a 35-year industry veteran, and the owner of Onslow Fitness, in Jacksonville, NC, a 14,000-square-foot club with fitness, group exercise, and personal training offerings, a heated saltwater pool, and other amenities. However, in 2011, Saroka acquired ABC Financial software, and, in the process, eliminated “tons” of man-hours required for tasks that no one liked to do. Now, the CRM component of her ABC system boasts a newer feature called MYiCLUB online, a portal that allows a member to log in at any time and make account changes— even cancellations. Not only is it convenient for members, but it also ensures that the club obtains accurate information. A newer, but significant problem for club operators is posed by multiple technology platforms that don’t integrate with one another. Aside from the obvious data entry inefficiencies this introduces, long-term costs are incurred if a club is unable to track and analyze information accurately. And that—tracking and analyzing data expertly—is exactly the thing that a good CRM system is designed to do. Mike Alpert, the president and CEO of The Claremont Club, a large multipurpose facility located on 19 acres in Claremont, CA, is a huge proponent of investing in the tools needed to provide extraordinary service. He taps a variety of resources to do so. He relies on ABC as his CRM hub; Medallia software, to manage his customer experiences, and to quantify his customer promoter score; Visual Fitness Planner, as a sales and retention tool; and MYZONE fitness wearables, to motivate members and deliver a better workout experience. The amount of data that Alpert collects is incredible, but it needs to be easily aggregated for analysis. Otherwise, it’s useless. One of the most attractive features of CRM systems is a deceptively simple one—the paperless point of sale (POS). Until you don’t have to deal with reams of paper, it isn’t obvious how many problems paper causes. It starts with penmanship. If a staff person in the office can’t read something that’s hand-written, then they have to contact the salesperson or, perhaps, even the member. Next, the forms may not have been filled out correctly and completely, with all of the necessary signatures and initials. Then there’s the issue of organizing and physically storing thousands of contracts. When a member wants to cancel or needs a copy, you have to locate the contract. It’s painful to deal with cancellations when members don’t have a copy of the contract, and become irate when the fine print is pointed out to them. With a fully online POS process, most of these issues go away. Another CRM-enabled sales feature that’s growing in popularity is online enrollment, which allows prospects to join 24/7 via a club’s website. While this function has long been utilized by many high-volume/low-price (HV/LP) brands, more mid- and upper-tier clubs are now finding it necessary to follow suit. Beth Gillespie, the co-owner and sales manager of Saco Sport & Fitness, in Saco, ME, was part of Twin Oaks Software Development, Inc.’s beta program for online sales, and was pleasantly surprised by the results. One online enrollment feature that’s propelling growth is the ability to create unique links for specials. For example: Gillespie will offer a $50 savings on her joining fee for online enrollments. So, if someone comes to her Website and requests information, they’ll receive a follow-up e-mail with a link to a discount. Similarly, if the club is doing a corporate promotion, it can create a unique URL for that corporate rate. This helps to drive automated sales, and makes the customer feel good about the savings, but doesn’t devalue the club’s brand with discounts for all. And, of course, in a world where everyone manages their life with a smartphone, mobile check-in is also growing quickly in popularity.